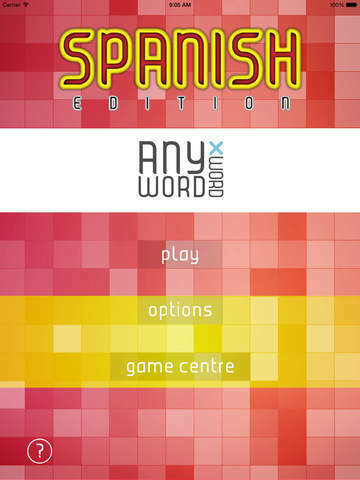 I have recently tried out Alan Peat's Any Word XWord APPs in French,Spanish and German.It exists in other languages too. I found that it was really simple and easy to use and a game that could be played in pairs, tables or individually by all stages of language learner. What I like, is the immediate freedom and challenge it gives a young primary beginner language learner.The learner has to think for his/herself and for example think of three letter target language words they may know and try to fit them in to their own puzzle.If the learner forgets the accents the game prompts you - as the word isn't accepted until correct.You can play against other children too - to add competition.There is an option to keep a record too. As always I think we could take it further...... and make it a useful learning tool when exploring how to use bilingual dictionaries. Game One: Working in pairs ,Partner A says the word he/she wants to write and Partner B has to find the word in the bilingual dictionary (even if the meaning is already known) .Both partners need to check spelling before Partner A is allowed to write it down on the APP crossword board.They then swap roles and move on to find the next word that will fit on the crossword board. Game Two: Working with a partner- Partner A locates a word in the bilingual dictionary and writes it on a mini whiteboard.Partner B must try to apply sound -spelling knowledge to say the word and try also to remember or work out its possible meaning.The meaning needs to be checked in the dictionary before the work can be added to the puzzle.The children then swap roles. Game Three:Working in pairs , Partner A locates a word in the bilingual dictionary and Partner B must find out something grammatical about this word- is it a verb (is it a reflexive verb?) /noun/ adjectives.Is it masculine/ feminine or neuter? Now Partner B can add the word to the puzzle. Game Four: Two pairs working together, can both pairs complete a simple level one board and then share the board with the other pair.The second pair must look up the words in the bilingual dictionary and write them out on rough paper with grammatical information included e.g noun, masculine , feminine , neuter etc , adjective, noun.The second pair must now try to write complete sentences that contain some of the words.This could be a sequence of sentences or one sentences using several of the words. Newer PostWorld Book Day and a celebration of languages and literacy!